In solid sterling silver, with a touch of gold or enamel or in precious yellow, white and rose gold our bangles add a flow of design around your wrist. To size hinged and torque bangles measure your wrist, to size solid bangles measure the around your hand at the knuckles, tuck your hand together as if putting on the bangle. If unsure, contact us. 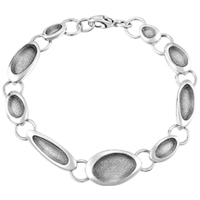 A delicate single element on a chain to interlinking elements creating a unique entity, we have bracelets for all ladies, even the very young. 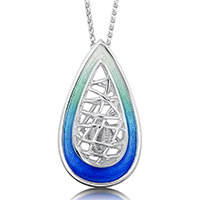 Designs in sterling silver, silver & enamel and yellow gold compliment our necklets, necklaces and pendants. One size fits all, contact us and we can adjust. 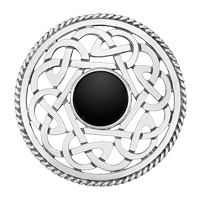 In sterling silver, silver & enamel and yellow gold our eye-catching brooches enhance your outfit. 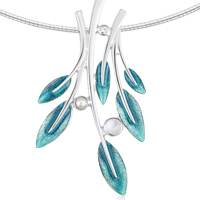 Compliment the colour of your costume with enamel or choose universal silver or gold. Our brooches include designs with handset precious stones. 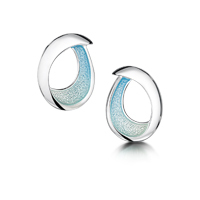 An extensive collection from dainty studs and drop earrings to occasion pieces. 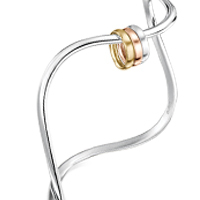 In sterling silver, silver & enamel, yellow, white and rose gold and 18ct yellow gold with enamel, we have earrings suitable for everyday wear as well as special occasions. 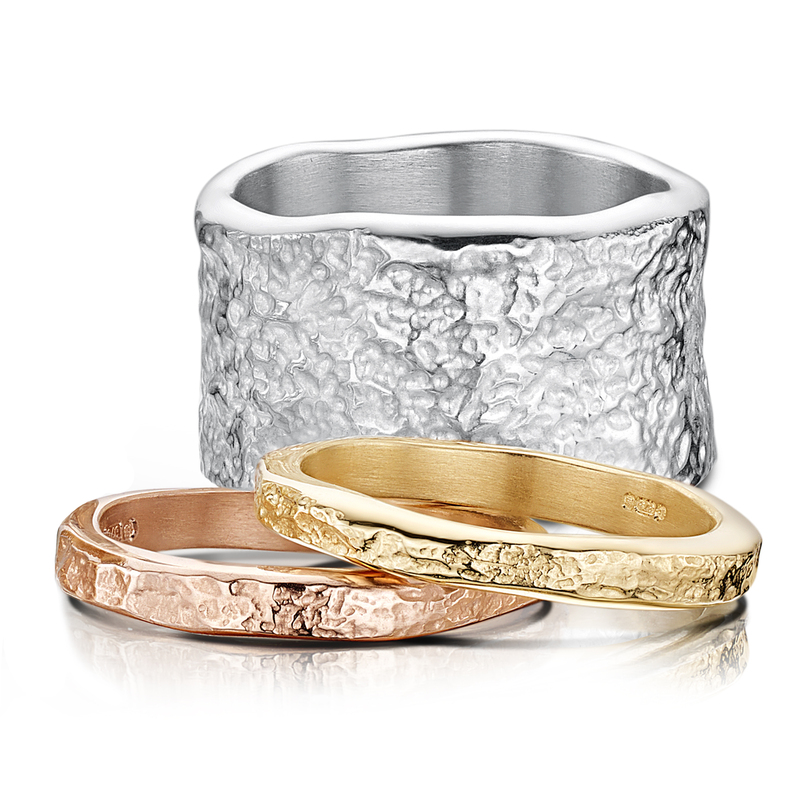 Designer rings made just for you in silver, silver & enamel, yellow, white and rose gold and 18ct yellow gold & enamel. See our RINGS section for engagement & wedding rings, eternity rings, interlocking ring sets, palladium and platinum rings and rings set with precious stones. Have your finger expertly measured in any Sheila Fleet shop.